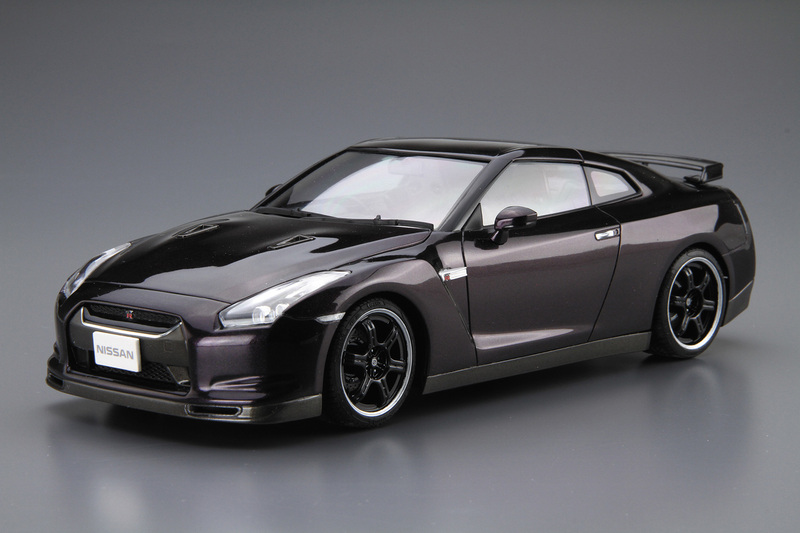 R35 GT-R Spec-V, developed for faster lap time in racing circuits with various tune-up improvements, was launched in February 2009. A new high gear boost controller that allows a temporary increase in boost pressure for 80 seconds to the IHI twin turbochargers, should deliver more torque (62.0kgm) in mid to high-range revs. 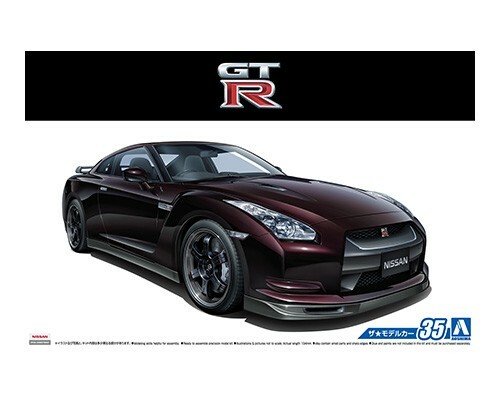 Thanks to the various light weight features such as the titanium exhaust, reworked suspension, brembo’s carbon ceramic brakes, and 20-inch (510 mm) Nismo wheels, the overall weight is decreased by 60 kg over the standard GT-R. 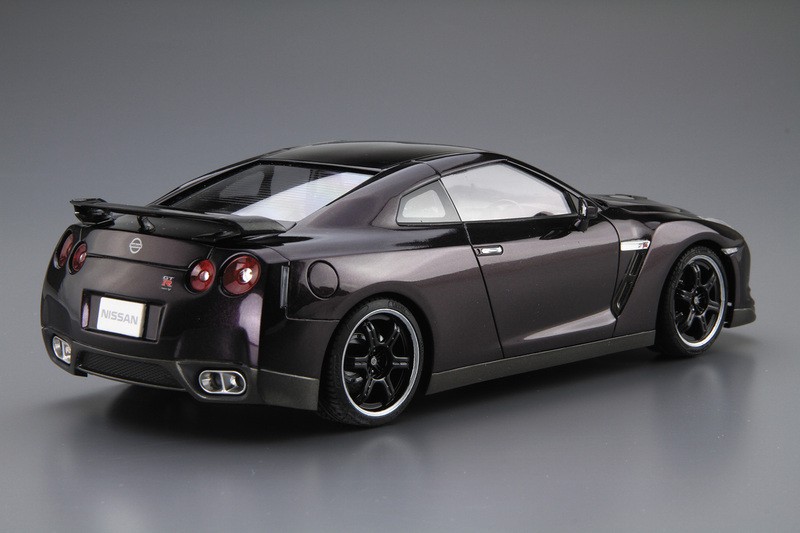 This plastic assembly model kit replicates R35 GT-R Spec-V, with the special features of the Spec-V such as two-seater interior, Recaro carbon bucket seats, front bumper, RAYS aluminum cast wheels, and titanium exhaust system. Window masking sticker is included.